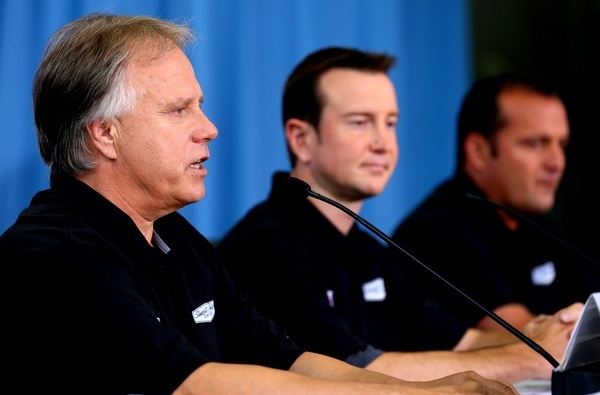 Gene Haas just fired a heck of a salvo. Don't you wish you'd had a seat in the room when Haas laid this all out for Tony Stewart? Kurt Busch to join newcomer Kevin Harvick, Stewart, and Danica Patrick next season....which begins in just four months. Let's get ready to scraaaammmble. Now is this roster the recipe for big success, or for controversy and heartache? And when will ol' Smoke himself weigh in on all this? Since his sprint car crash August 5th, Stewart has been laid up recovering. And while he's been nursing his broken right leg, Stewart's partners have been wide open, lining up Harvick's new crew, and now fielding applications for Busch's new team. At least money appears now to be no object, with Haas insisting he's comfortable writing that $15 million to $20 million check himself....and putting renewed emphasis on the Haas in Stewart-Haas. Remember how team owner Richard Childress, a few years back, relished his then-contentious lineup, of Harvick, Greene and Robby Gordon? That certainly was a high-drama lineup, on many a Sunday afternoon. Some are worried that this Harvick-Busch-Stewart-Patrick lineup is simply too combustible, too volatile. 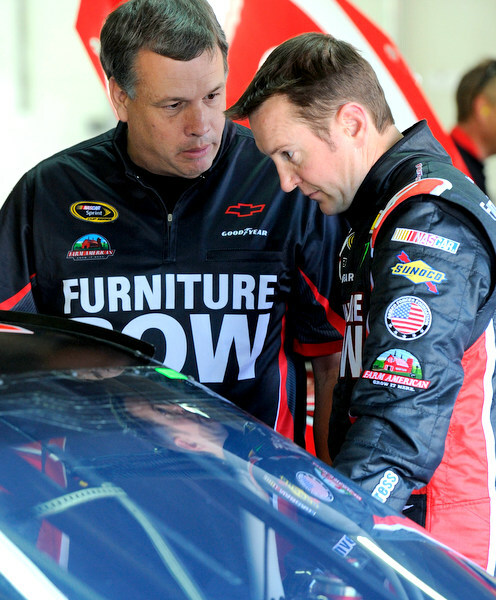 Even Zipadelli joked about that, saying his first job was building "a rubber room" in the shop. But no question these guys are passionate about their racing. Busch, when asked about the fierce competitiveness of his new teammates, with a nod toward earlier run-ins they've had, pointed out that all three are older and more mature now. Busch just turned 35, Harvick is 37, Stewart 42. "We are now in a better spot in our careers to be able to do this," Busch says. 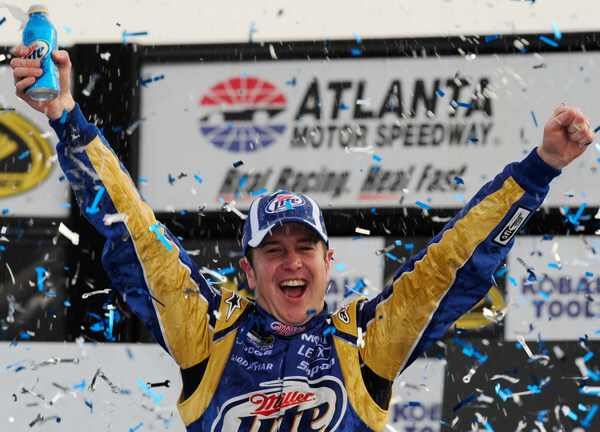 Still, Busch says, maybe with a wink, "You've got to let the rough edges drag sometimes...."
Busch won't get his new ride till next season, and at the moment he's got nine days and two races -- Atlanta and Richmond -- to snare a spot in the playoffs. His rear hub problem at Bristol was a costly blow, and puts him behind the eight-ball here. And then his current team -- owned by Barney Visser, crewed by Todd Berrier, with engineering from Richard Childress -- is suddenly in the marketplace for a new driver, which could become a distraction. Over at Stewart-Haas, however, it looks to be all about next year...depending on if Ryan Newman and crew chief Matt Borland can rally into the playoffs. Borland too appears to be a lame duck, with no specific plans for 2014, and with crew chief Rodney Childers apparently coming over to take charge of the team when Harvick joins. 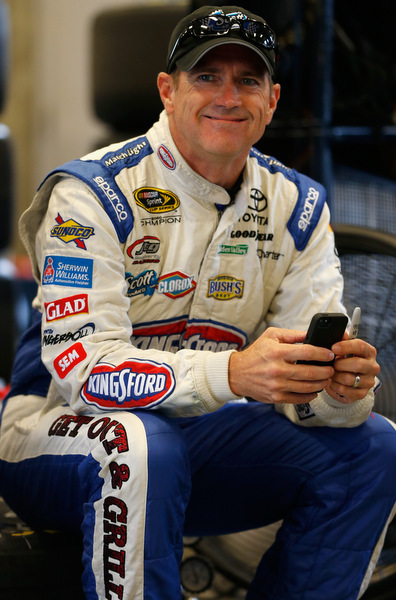 Childress himself is still looking for someone to replace Harvick. Newman could get the nod, but Childress is still working the marketplace to see who else might be out there. Certainly Haas and Stewart should give competition director Greg Zipadelli a big raise, considering what they've just piled on his plate. Indeed, with Stewart and business partner Haas suddenly -- very suddenly -- deciding to expand to a four-team operation, there may be more than a few questions raised. First, since the current three Stewart-Haas teams haven't done all that well this season, aside from that Brickyard surprise, and considering how poorly Danica Patrick has performed week after week, and considering the still evolving transition from Ryan Newman to Kevin Harvick, with crew chief and crew apparently still a work-in-progress, and considering significant sponsorship issues, it is indeed stunning that Haas would decide to try to expand to yet another Sprint Cup team...from scratch, with Daytona 500 testing just four months away. Stewart himself has been just a 16th place driver, on average. Newman, 17th. Patrick, 26th. Yes, wins at Dover and Indianapolis, but otherwise a very mediocre season. And last year wasn't all that great either, remember. Maybe Stewart is right to have some reservations about this. After all, how many years did it take Rick Hendrick to make a four-team operation work. It takes more than just money and willpower to have success on the stock car tour. Roger Penske, who knows a few things about business and racing, just decided not to expand his two-car operation. That should be telling. In fact, the timing of this latest twist, signing Kurt Busch to a multi-year contract, is very surprising. There are signs there is much more to this story than has been revealed. For one, why is Haas -- after leaving the front-man work to Stewart the past 3-1/2 years, since Stewart was somehow 'given' a 50 percent share in the team -- suddenly not only out front-and-center but wheeling and dealing, and admittedly without Stewart's blessing. Haas -- remember him as the multi-millionaire engineering guru whose cad-cam machinery business is so lucrative. However until Stewart joined, Haas' operation was an also-ran. Stewart made it click, of course with a lot of engineering help from Hendrick, as well as his own formidable talents. But the addition of Patrick has clearly been a drag. And how long it may take her to get into a rhythm is anybody's guess. Now maybe Haas and Stewart can make this four-car operation succeed, and maybe it will even thrive. But maybe this is a point where the NASCAR Frances should sit down and ponder a bigger question: the efficacy and value of these multi-car mega-teams and their effect on this sport. 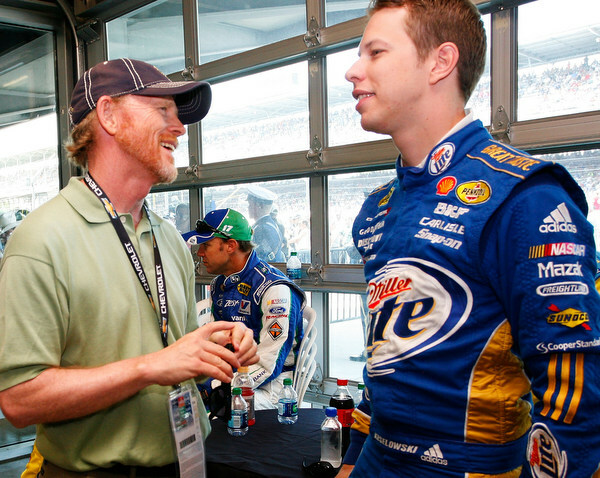 Brian France himself, remember, first raised the issue that big may at some point become too big. Jack Roush's then five-team operation was deemed too big, and there were indications that France wanted, back then, to limit owners to less than four teams. A possible cut to a three-team maximum never came though. And the rush to expand to four teams was on. That was then, though, and this is now. Maybe it's high time the Frances reconsider these multi-car teams. Do they help the sport, or hurt the sport? After all NASCAR did quite well for years and years without such huge mega-operations. Is it time to break up these oligarchies? Is it time to limit owners to just two Cup teams? Is it time to bar owners from creating huge contract engineering operations? The NASCAR Frances could easily do that by rewriting the annual contracts they require all owners and drivers to sign. At least it's a point worth considering. Or maybe, as Kyle Petty might say, that horse has already left the barn. Caution: getting healthy can be hazardous to your health. A bicycling enthusiast, Labonte broke three ribs on his Wednesday ride around his Trinity, N.C., home, and he'll miss this weekend's Atlanta 500. Labonte has six wins here, more than any other driver. Mike Bliss will take over the James Finch Chevy, which Finch just sold to Harry Scott, who is a partner in the Turner-Scott Nationwide operation. Goodyear may be a hot story here, debuting a radically new tire for Sunday night's 500. The tire giant may actually prefer that Bruton Smith simply repave this track, which hasn't had a make over since 1997. But drivers don't like new asphalt in general, and Smith hasn't even been inclined to repave Kentucky Speedway, which sorely needs fixing. Rather than new asphalt, drivers will have a new tire here, featuring a harder, more durable inside shoulder on the right-front, for these fast, long corners. Drivers had a big tire test here three weeks ago. How well these right-fronts will do on expected 50-lap (75-mile) fuel runs may not be clear, though, until the race itself; as abrasive as this surface is, tire wear on a green track can be scary. -- Jimmie Johnson. He's lost momentum, but he still is heavily favored to win the championship, when the playoffs begin in two weeks at Chicago. -- Matt Kenseth. His solid victory at Bristol, over Kasey Kahne, again, could mean he's got his mojo back, after a hard summer. -- Kyle Busch. Perhaps the most talented pure driver on the tour, this Busch needs to prove he can play the chase game. In his years in the sport, Kyle has become almost infamous for late-season woes. He has yet to challenge for the Cup championship, or even make a decent bid. -- Clint Bowyer. He's leader of the Michael Waltrip gang, and his dogged determination each Sunday has been amazing to watch. -- Ford. The car maker hasn't been a major threat on the stock car tour most weekends this season. At Bristol Ford drivers said they needed more power to be able to compete with Chevy and Toyota teams. And this track, nearly oval, is one of the sport's most demanding on motors. -- Speed. Atlanta is one of the sport's fastest tracks (though race pace slows considerably), and this will be the first run for the new 2013s here. The 2013s are four to five mph quicker than last year's cars. In fact NASCAR officials continue looking at various ways of slowing the cars down, according to engine men. -- TV. The power of 'network' coverage -- ABC's telecast of Saturday night's Bristol 500 drew 6.3 million viewers, making it the most-viewed Bristol race since 2007. Even though seven U.S. markets declined to carry it, opting instead for the NFL. The top markets: Greenville SC, Knoxville TN, Winston-Salem/Greensboro NC, Charlotte NC, Richmond VA, Norfolk VA, Indianapolis, Birmingham AL, Raleigh-Durham NC, and Orlando FL. Stock car teams may have to brace themselves for some one-day in-and-out races, mid-week perhaps, if the college football TV model is followed by NASCAR's TV partners. And, in an odd twist, NASCAR officials are downplaying reports that a Sprint Cup TV shakeup could be coming next season: "Despite recent reports to the contrary, nothing substantive has been presented to NASCAR regarding broadcast partners’ plans to alter our TV agreement in 2014. We’re very happy with our current broadcast partners and fully expect and are excited to be back with FOX, Turner and ESPN next year. These types of discussions happen regularly across the sports television landscape, very rarely resulting in changes to a media rights agreement." -- Movies. Ron Howard's long-awaited Formula 1 film 'Rush' is to debut Sept. 8, at the Toronto Film Festival (Sept. 20 in the U.S.). It is about the epic battles between James Hunt and Niki Lauda. Howard has been to several NASCAR races this season, while working on the film. And another F1 film is coming out: '1,' a documentary about F1 safety over the years. HERE is the trailer. "Martin Truex Jr., Joey Logano and Greg Biffle – all of whom have one win this season – can clinch at least a Wild Card spot with a win and some help. Kasey Kahne, with two wins, would clinch with a third win if two out of the following three drivers clinch a T10 spot: Kyle Busch, Kenseth and Harvick. If all three clinch a top 10, Kahne clinches if anyone other than Biffle, Logano, Truex or Newman wins." Submitted by wizard of id on Fri 08/30/2013 - 10:10. With hass making decisions without Tony's ok, the writing is on the wall.Tony is a hot head as is busch, and with harvick's crying and danica in the way this team will implode by mid-season.It wouldn't even surprise me to see stewart take bass pro and harvick and bud to another team for next yr.
Just for s**ts and giggles can you see stewart moving to petty in the 43 bass pro chevrolet and harvick in the budweiser 42 with engineering from hms with hass being left to fend for himself with busch and danica.